If you haven’t heard the name Yodle until now, get used to it. One of the fastest growing advertising and marketing companies in the U.S. recently moved its 120-employee Charlotte operation into the Cambridge Corporate Center in University Research Park and announced plans to quickly grow that number to 250. The NY-based company’s niche: local online marketing for the little guys. Founder Nathaniel Stevens launched Yodle just eight years ago while still in college and managing online marketing for his father’s car dealership in New England. His idea was to use emerging online tools to give small businesses a better way to connect with their potential customers. Today the company has more than 1,100 employees in six offices including New York City and Charlotte and a string of honors for its rapid rise. Among them, Inc. Magazine’s recent ranking of Yodle as the No. 1 job creator in New York State and top job creator nationwide for the advertising and marketing industry. Yodle’s Charlotte office opened in 2007. The company held a ribbon cutting of its new URP offices on Oct. 15. Most of the company’s current employees in Charlotte handle sales and client services, as will most of the new hires here. Yodle’s new home is the 339,000-square-foot Cambridge Corporate Center, just off Mallard Creek Church Road on Claude Freeman Drive. Originally built in 1988 by Home Savings of America, the building is now marketed as a Class A call center building. Among the companies with offices here are Convergys, Duke Energy, Pike Energy Solutions and the city of Charlotte’s CharMeck 311 operations. Yodle connects consumers to local businesses simply and cost-effectively. The combination of automated technology and comprehensive customer support makes Yodle easy to use. Yodle’s offering is also ROI-driven: local businesses set a budget for which they receive calls and emails from qualified consumers. Today, Yodle delivers results for more than 40,000 local businesses. To do so, Yodle establishes a comprehensive desktop and mobile web presence, implements unique SEO techniques, and deploys proprietary paid search technology that dynamically optimizes online media buys across multiple desktop and mobile outlets. Yodle’s solution also includes retention marketing and a simple performance dashboard. Yodle’s competitive advantage is derived from the sheer scale of its local performance data across multiple industries. 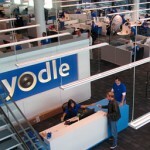 Yodle is ranked #28 in the Forbes list of America’s most promising companies. For more information, visit www.yodle.com, www.yodle.net, or go to YouTube to see a video of Yodle reviews from its customers.